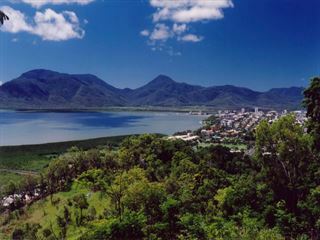 Arrive into Cairns and transfer to your hotel. The remainder of the day can be spent enjoying this tropical city at leisure. You could take a stroll along the Esplanade or lounge on the beach; alternatively, relax in one of the many cafés or hit the shops for a spot of retail therapy. 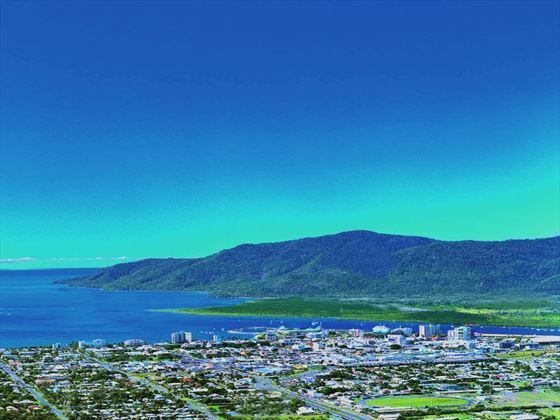 Cairns is a beautiful city with plenty to see and do, giving you a wealth of options when it comes to how to spend your time here. Board a catamaran and cruise to the outer edges of the Great Barrier Reef – this world-renowned reef is one of Australia’s most famous natural attractions, spanning around 35 million hectares and offering unique and unforgettable experiences. You’ll enjoy a reef education presentation by a marine naturalist, viewing the spectacular coral and marine life from the underwater observatory. 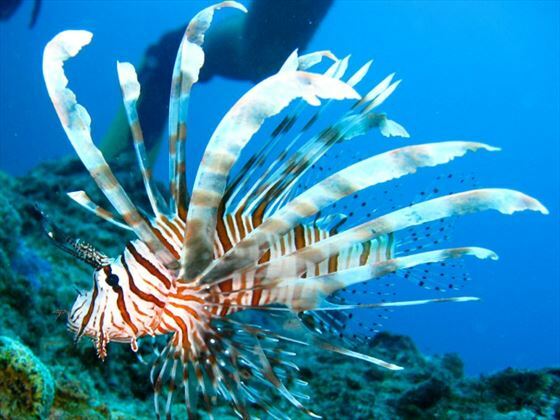 There will be the opportunity to go snorkelling and witness the beautiful marine life up close (equipment provided) before enjoying a delicious lunch with full bar facilities. On-board there will be changing rooms, freshwater showers and a sun deck. Return to Cairns in the early evening. Today sees you visit the fascinating Tjapukai Aboriginal Cultural Park which is the largest indigenous cultural park in Australia and boasts an amazing rainforest setting. You’ll learn about the ancient culture through bush food lessons, didgeridoo demonstrations, fire making demonstrations and the famous Tjapukai dance. Just a short distance away is the Skyrail Rainforest Cableway, which will take you directly above the canopy of the Barron Gorge National Park. 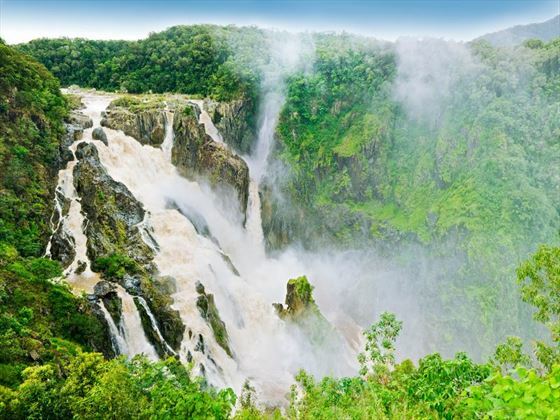 En-route to Kuranda, there are two stations where you can walk through the rainforest and observe from the awe-inspiring lookouts. Upon arrival, enjoy some free time to explore the charming village and its many attractions including the heritage markets. 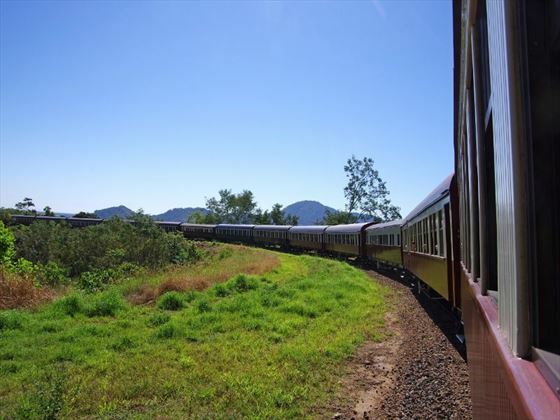 After exploring the 'village in the rainforest' and its many attractions, board the Kuranda Scenic Railway to enjoy a historic journey through parts of the oldest rainforests in the world. You’ll pass Stoney Creek Falls and wind across bridges until you reach your destination at Freshwater Station. 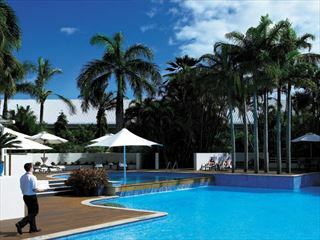 Enjoy breakfast before making your way back to Cairns Airport where your tour will come to an end. 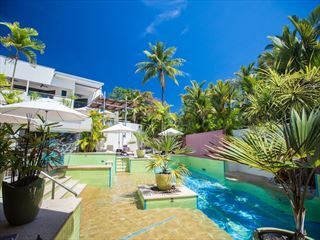 Upgrade accommodation Upgrade your accommodation from Standard to Superior from only £35 per person.